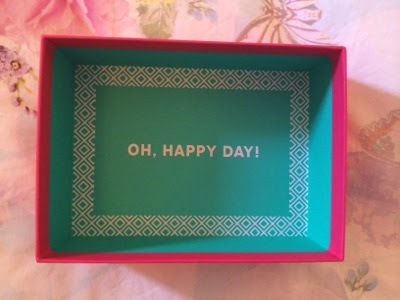 Oh Happy Days indeed, as beauty boxes go, this is probably one of the better ones that I've received recently, I gave up my glossybox a while back after several dissapointing boxes but there's just something about getting a surprise box of products every month that I just love, even if I don't end up loving all of the products so I think I'll always have one box on the go. 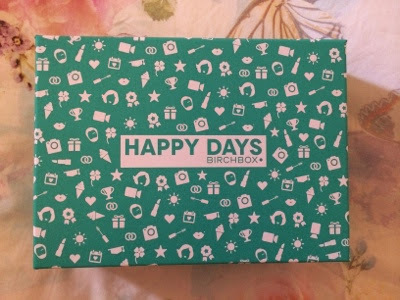 This month, I recognise at least 4 of the brands which is nice, I like the element of discovering new products in these boxes but it's always nice to have big brands in there as well. I'm quite excited to try this, I know a lot of people have had this in past boxes but I always seemed to miss out on it - I'm not a huge fan of applying make up with sponges, I alread have the Real Techniques sponge but this is supposed to be the best of the best, so I'm glad I get the chance to try it out! Korres is a favourite brand of mine, I love the lip balms, the shower gels and the skin care but I'm really not a fan of this scent, it's citrus but more on the bitter lemon side, still, it's not horrible and it's a good size so will be good for throwing in my travel bag. I've used this several times and have a few travel sizes of this already but I'm a big fan so it's always good to have another one, this is great for dark circles and is nice and moisturising - I'm a fan of the Benefit skincare overall to be honest, considering it's a beauty brand, they do skincare pretty well. This was a big surprise for me, I was quite disappointed to see this colour in the box, I tend to reach for pink or peachy glosses but this is more of a neutral, pinky brown shade and I'm in love with it, I will 100% be repurchasing this. When applied to the lips, it's a my lips but better shade, it's a very moisturising formula and doesn't leave my lips super sticky. I haven't tried this one yet but again, another great one for a travel bag, I'm off home to Ireland at the end of the month so I'll be taking this with me. 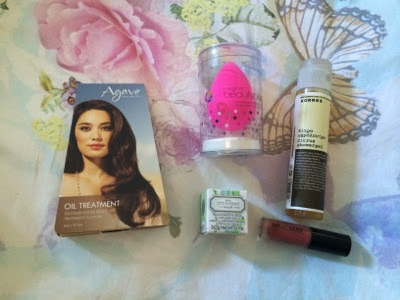 5 comments on "BOX // Birchbox September 2014"
I'd like to try the beauty blender!